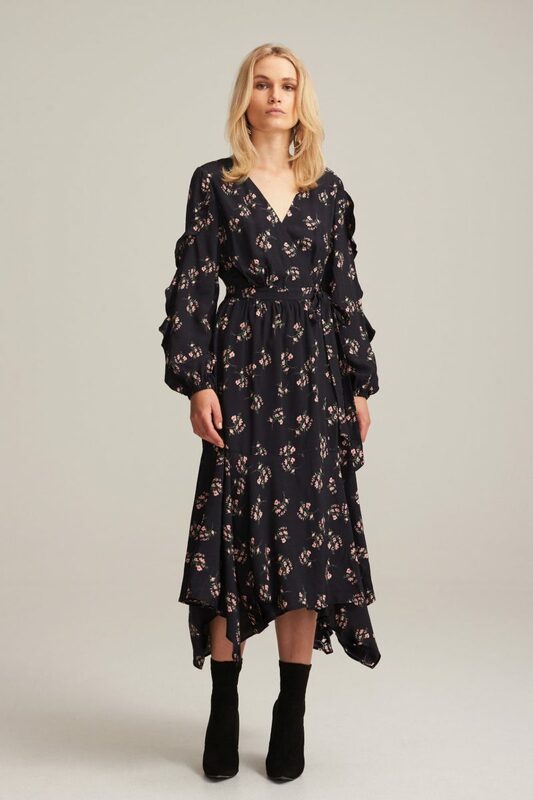 The Koko Dress in Black Flora by Steele is a gorgeous wrap midi dress with extended waistband tie closure. 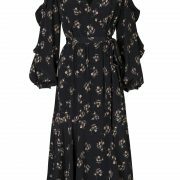 The Koko Dress features long sleeves with floaty frill detail finishings at the elasticated sleeve cuff. 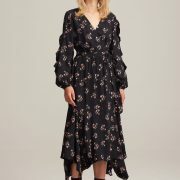 The Dress has a midi length and uneven hemline. 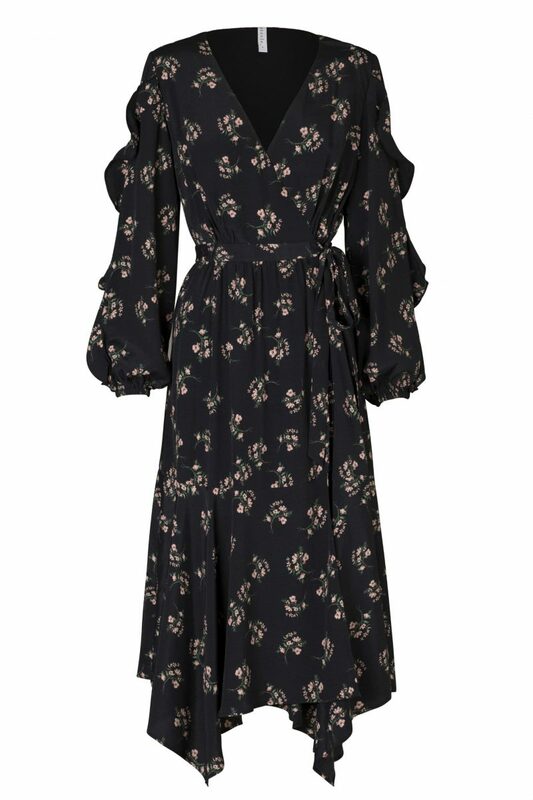 This dress is delivered in s t e e l e . exclusive ‘KOKO’ Print and is available in ‘Black Flora’ and ‘Light Flora’ colourways.